By hungry runner on September 26th, 2012 . Filed under: Stationary . I love Emily Isabella’s illustration style; she makes beautiful prints and cards that often feature food! 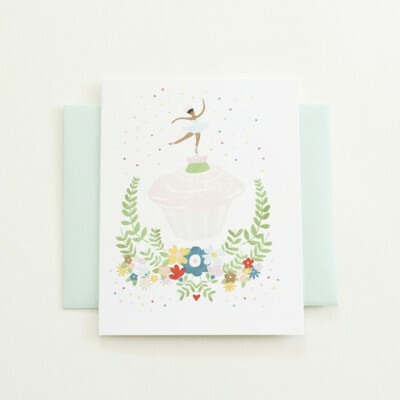 On her website for $3.50 you can find this ballerina cupcake card, it’s perfect for a littler dancer’s birthday!